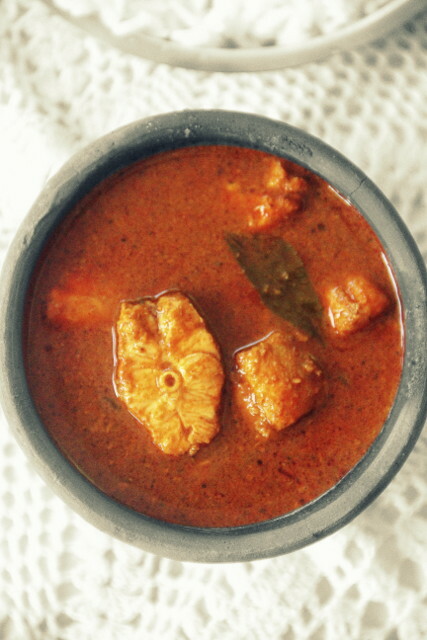 Shark fish curry is familiar for the Keralites and Tamilians. 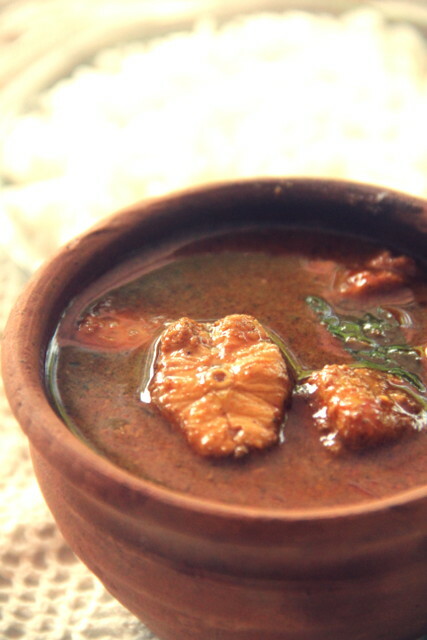 Surameen Kuzhambu basically belongs to the Chettiar cuisine, made using paal sura or the young and tender sharks. 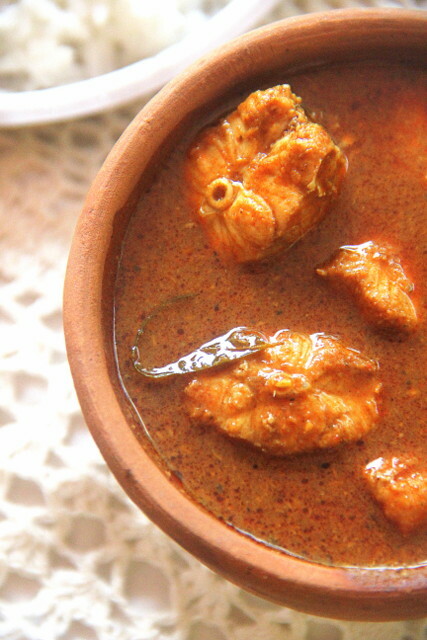 Sravu Curry is not common in central Kerala, though, a much loved thick brown coloured curry made to perfection! insisted Amma to go for a fish dish everyday this time in Kottayam, the reason being I never get to have these favourites of mine back home. 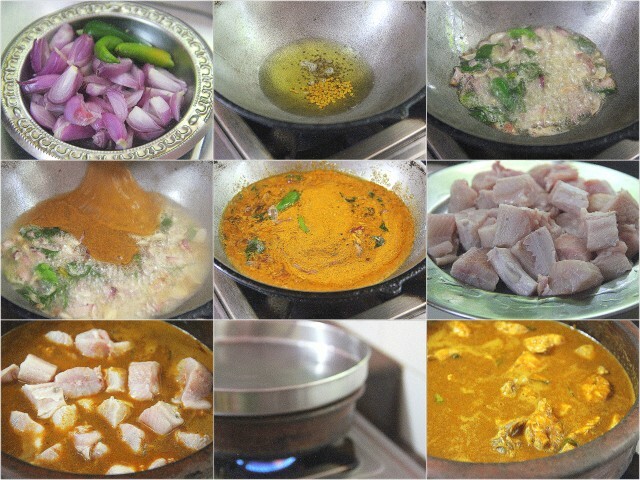 She made the fish and coconut curry, red fishcurry, fried fish and the small fish varieties with coconut. She makes the best ones or at least, we children approve so. I had been mentioning about shark fish and the curry she makes, which I wished to make a note and Bingo, she finds the young sharks in the shop right beside our home.This is a curry I crave and amma says I would have some extra meal with this side dish when I was a kid. 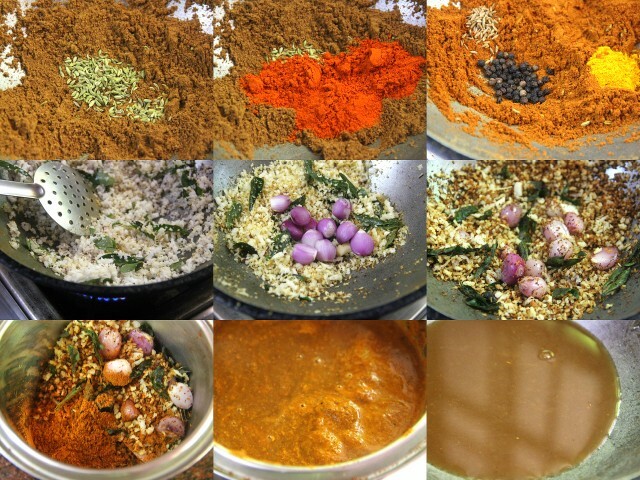 Now, before hitting the publish button, I did a bit of research to which cuisine the curry belongs and was excited to see the curry amma prepares is a lovely combination of both. The ingredients, method and the look of the final curry in both the cuisines is the same; dark and thick! Dry roast coriander powder till it turns into a deeper brown hue for about 4-6 minutes in low-medium flame. Note the colour. This is very important for the right flavour of the final curry. Add the fennel seeds and chilly powder and turn off heat. Add jeera seeds, pepper corn and turmeric powder and mix well. The heat in the pan will be enough to heat them up. Transfer this to your large mixie jar. We need to grind it later. Roast coconut gratings and Curry leaves for a few minutes. Add whole shallots and garlic cloves and roast continuously for a few more minutes until the coconut is browned. Transfer this to the mixie with the earlier roasted powders and spices. Grind the whole mix into a fine paste adding enough water. Prepare the tamarind extract.Mix it with the ground paste and keep aside. *If you use Kokum or 'Kodampuli', rinse and soak them in a cup of warm water for 10-15 minutes. You need not extract the pulp. Keep aside. Slice the onions. Slit chillies until 3/4th, lengthwise. Do not separate them. Heat oil in a wide kadai or the one in which we roasted the ingredients earlier or a seasoned earthern pot. Splutter mustard seeds and brown the fenugreek seeds. Sauté sliced shallots until light brown followed by the green chillies and curry leaves. Pour the ground mix carefully over the seasoning. 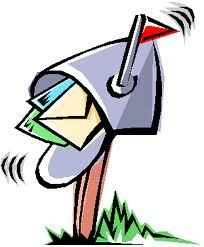 (If you use Kokum, add at this point). Add a cup of water to dilute and add salt. Simmer the curry and slide in the fish pieces, gently. Continue to simmer until the pieces are cooked soft for 8-10 minutes, in medium flame keeping the kadai closed. 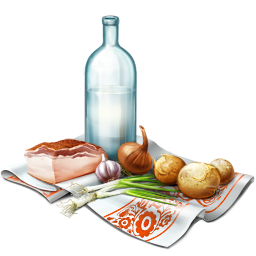 Check salt and fish pieces whether cooked. Young sharks are tender and cook soon. If not, simmer in low fire until the oil separates! Serve hot with steamed rice and chips or 'Pappadam'. The curry turns thicker, darker and tastier, the next day! Traditionally, we should use whole coriander seeds and red chillies for roasting in Set-1.I have used the powders instead. This doesn't alter theauthentic taste if roasted rightly. This is easier to grind as well, than the whole seeds. 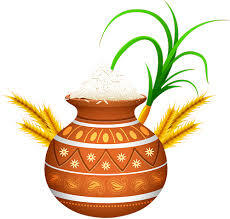 Amma used a 'Manchatti' or an earthern pan in the very final part. The curry was kept closed in it and was reserved for the next day. :).